When people look at your deck, they'll see railing before anything else. Which is why a picture-perfect deck means selecting railing that signifies your style. With Trex, you can mix and match railing components to create a unique look, or choose from our Decking & Railing Duos for a simplified design approach. Trex Transcend Railing is as strong and sturdy as its namesake decking, putting every railing possibility within reach. 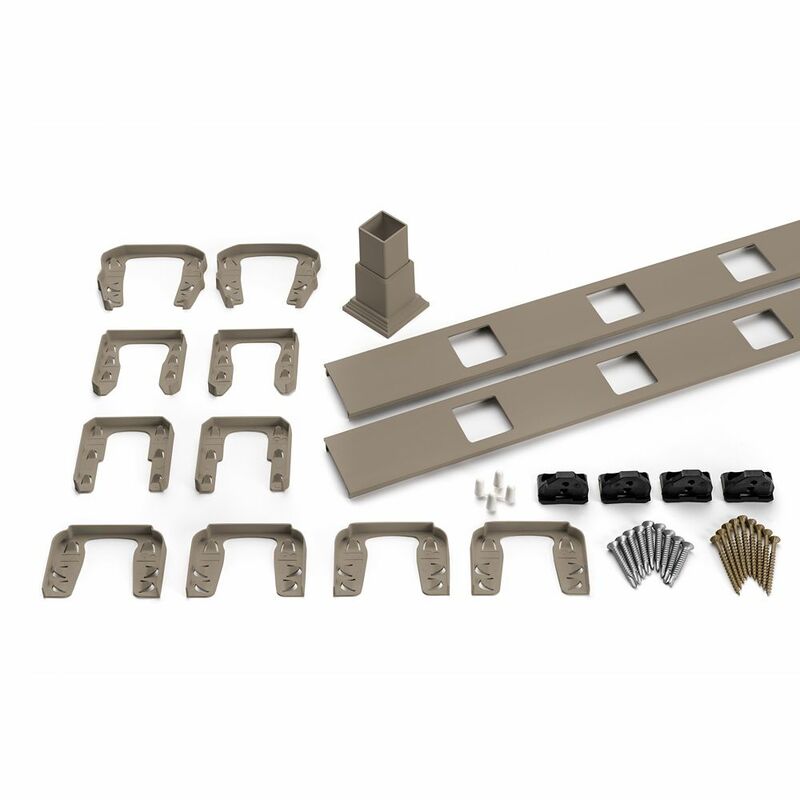 6 Ft. - Infill Rail Kit for Square Balusters - Horizontal - Gravel Path When people look at your deck, theyll see railing before anything else. Which is why a picture-perfect deck means selecting railing that signifies your style. With Trex, you can mix and match railing components to create a unique look, or choose from our Decking & Railing Duos for a simplified design approach. Trex Transcend Railing is as strong and sturdy as its namesake decking, putting every railing possibility within reach.